I decided I just needed to dive in. 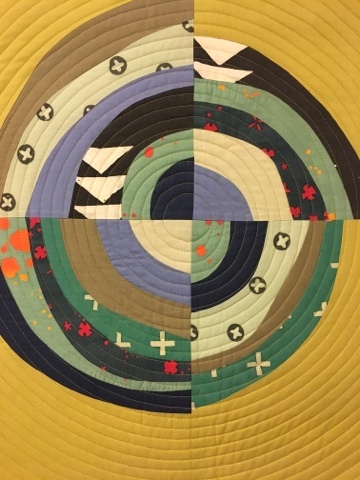 I've toyed with the idea of an improv curved quilt, so I pulled a bundle of fabric and some coordinating solids and just started cutting and sewing. I had no idea where I was going with this when I started, but I ended up really enjoying the end result. The colors and process are definitely out of my comfort zone, but that's what I love about a challenge. It pushes me as a designer. 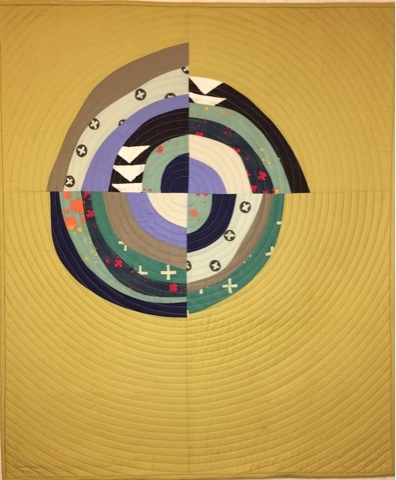 I thought the quilt top looked like a tree stump (hence the name of the quilt), so I quilted concentric circles to enhance the design. I love the effect it gives the quilt. I quilted this using Aurifil 50wt (and pieced with it) in an all over moss green color to match the background. I love using a thin thread to really blend in with the fabric, regardless of the color. 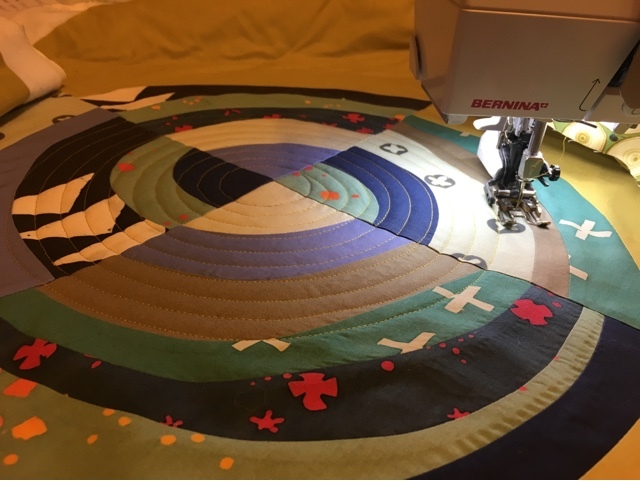 The end result is a fun mini quilt that I really like. Now to think of a new challenge for myself! Finished Size: 25" x 30"